Vitamin D3 — also known by its chemical name of cholecalciferol — is one of the five different forms of Vitamin D. It’s chemically classified as a secosteroid, which means it’s a steroid with an open ring. At BioThrive Sciences, we will work closely with you to develop a unique custom formulation that meets the exact needs of your clients. 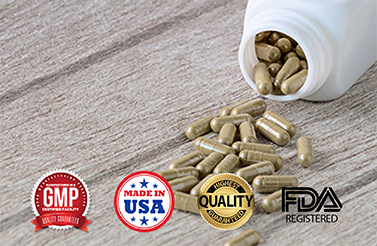 We’ll use our expertise and experience to walk you through the process of creating a unique Vitamin D3 product with custom private labeling that resonates with your target market. Vitamin D3 performs several functions within the human body. Perhaps the most essential functions of Vitamin D3 include the regulation of your body’s phosphorus and calcium absorption as well as facilitating a normal, healthy, functioning immune system. Consuming sufficient amounts of Vitamin D is also critical for the normal development of healthy teeth and bones. Vitamin D3 can help support adequate levels of calcium in the blood. If the blood is calcium deficient, the kidneys will begin to function poorly. Oral supplements of Vitamin D3 can be used to promote oral health. Vitamin D3 can help promote healthy levels of phosphate. Vitamin D3 can support bones’ ability to maintain their natural hardness, which can be helpful for those with liver issues that cause softer bones. Private label manufacturing is a brilliant solution for companies looking to expand their brand or selection of products. Our team includes graphic designers who’ll redesign your product label for any bottle or shape of products. Our team works to ensure consistent brand designs and ensure fluidity for the consumer. Not only will we design the perfect label for your Vitamin D3 supplement, we will print the labels. We offer this value-added service for our products to ensure the finished product is exactly what you’ve envisioned. At BioThrive Sciences, our team creates and engineers best-selling formulas, but we’re also committed to providing a world-class customer service experience from start to finish. Because BioThrive Sciences products are sold and distributed all over the world, our specialized team will work with your business to ensure the process and strategy meets your needs and exceeds your expectations. At BioThrive Sciences, we are a GMP-certified brand that offers a wide array of custom formulas and custom labeling solutions for Vitamin D3. We can manufacture your vitamin or supplement in gummies, pills, gums, and a long list of other forms. Most importantly, we pride ourselves on our ethical practices. All of our products are GMP certified through the Food and Drug Administration. Every one of our products must pass a rigorous five-point checklist to ensure we utilize Good Manufacturing Practices. For more information about creating a custom Vitamin D3 formulation, contact BioThrive Sciences at 844-263-3657 or complete our online contact form.